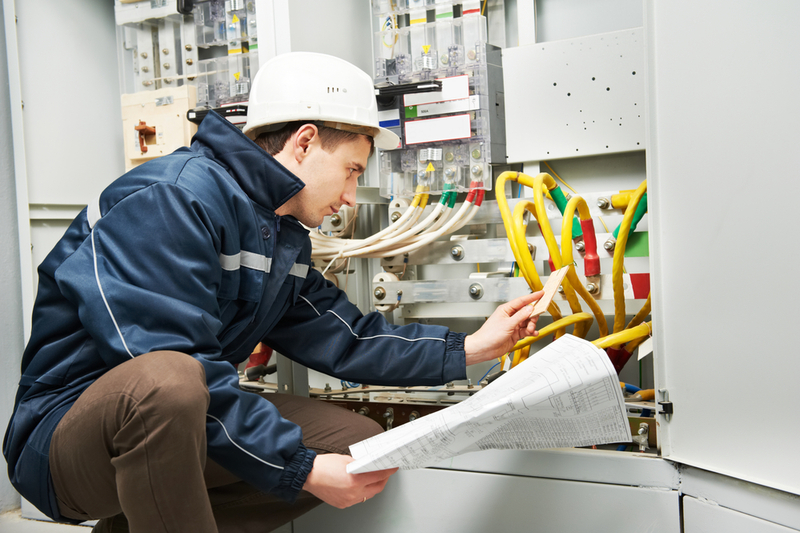 Anmar Solutions delivers the highest levels of both compliance and customer service when it comes to providing your industrial workplace with electrical maintenance. With this in mind, we’re the perfect outfit to partner with to ensure you have an electrically-safe workplace for your employees. We focus on building a long-term relationship with you to ensure your specific needs are met at all times. We match this care with sophisticated maintenance tools and the provision of the finest technicians in the industry, all delivered through the prism of our set of core values. That’s the care and expertise you and your business deserve. You’ll love the complete transparency with which we operate. Every action is carefully documented, so you have accurate reports and logbooks to show to compliance agents. We even offer a reminder service, so that you know when crucial appliances and machinery need to be tested, helping you avoid breakdowns and costly downtime. As a business owner, it is your responsibility to provide employees with a safe space in which to work. Any accidents, injuries or fatalities will be linked to you, so maintenance isn’t a choice—it’s a must. Well-maintained instruments and machinery are more efficient, which saves you money and increases productivity. Small repairs and optimisation save you from paying for large repairs or having to replace machinery that has fallen into complete disrepair. We meet and exceed industry standards by continually training our technicians to ensure they have the highest levels of training and accreditation. We also perform all of our work according to the Australian Standards and legislation outlined below. Our qualified technicians uphold AS/NZS 3760:2010 In-service safety inspection and testing of electrical equipment to meet the highest standards of safety. Having portable appliances tested and tagged according to these standards is essential in delivering a safe workplace, and minimising any risk of injury to workers. Industrial spaces need properly functioning exit and emergency lighting to provide safe ingress and egress points during emergency situations. We ensure your lighting is fully-compliant with the AS/NZS 2293 Emergency escape lighting and exit signs for buildings. Testing is carried out by maintenance professionals that are fully accredited and trained in the maintenance routines and requirements outlined explicitly in AS/NZS 2293.1 and AS/NZS 2293.2. All of our operations are carried out in line with the Occupational Health and Safety Act 2004, the Occupational Health and Safety Regulations 2007, as well as all other relevant workplace health and safety standards. This helps ensure the safety of our clients, the public and our technicians. The Occupational Health and Safety Act stipulates that employers must provide a safe workplace. So, by engaging us, you can rest assured that you have met all those requirements.